Fifteen dollars will be collected at the time of registration by Women Who Write as a donation to the Kentucky Foundation for Women as a thank you for the use of their beautiful house and grounds. Payment may be made by Pay Pal, or mail a check to Women Who Write, P.O. Box 6167, Louisville, KY 40206. Please complete the registration by Monday, October 8, 2018. A Liability form from The Kentucky Foundation for Women will be needed to be completed upon check-in. We look forward to seeing you. Any questions, email info@womenwhowrite.com. The Hopscotch House Retreat and Residency Center is located at 8221 Wolf Pen Branch Road, Louisville, KY 40059. Directions and General Information is attached. 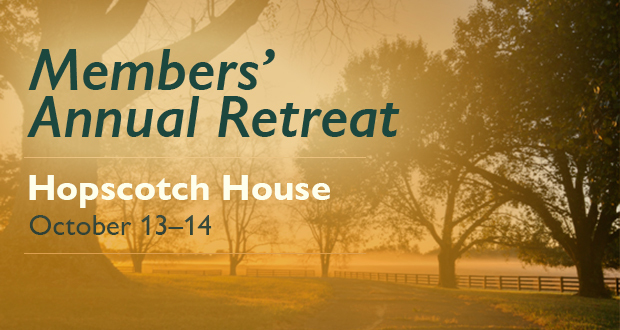 For questions on the days of the retreat, you may contact Diane Cruze at 502-387-1919.
are and call (502) 439-4486. Go through light at Seminary Drive. Take right at next light onto Wolf Pen Branch Rd. to continue on Wolf Pen Branch Road. a left onto the driveway at 8221 Wolf Pen Branch Rd. Cross the creek, go up hill and follow drive about 1/2 mile. Stay on the paved driveway. CARPORT TO UNLOAD YOUR CAR.